There has been 524% growth in the number of malware variants captured by SonicWall in the past six months and a 57% increase in new malicious files analyzed each day. More than 1,000 new malware variants are now used to attack SonicWall customers each day. The global Wannacry and NotPetya attacks were headline news in 2017 and claimed many victims, but the attacks continued as news coverage died down. New strands of Wannacry and NotPetya malware have been developed and continue to be used to attack organizations that have failed to update and secure their systems. There has also been a significant rise in ransomware cyberattacks on small businesses in 2017. Those attacks can be devastating. A study conducted by Osterman research indicates the number of SMBs forced out of business as a result of ransomware attacks has increased by 22%. With the average cost of a data breach now $3.62 million that comes as no surprise. The massive increase in new malware and ransomware variants places a strain on traditional cybersecurity solutions. The rise in attacks and the high cost of mitigation has forced many companies to increase their cybersecurity budgets and invest in new technology capable of detecting new malware variants and zero-day attacks. The introduction of the SonicWall Capture Advanced Threat Protection service has helped to keep businesses protected from ransomware attacks, especially attacks that leverage zero-day vulnerabilities. 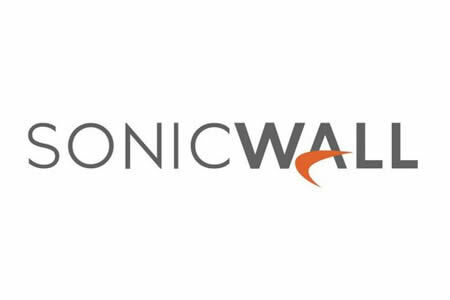 The service is provided through SonicWall firewalls and uses multi-layer sandboxing to emulate entire systems, with new malware variants analyzed and all suspicious code blocked until a verdict is reached. The increase in costly ransomware attacks and rising threat level, together with the success of SonicWall’s advanced threat protection service has helped to fuel growth at the company. SonicWall notes it seen a 77% increase in licenses in Q1, a 55% increase in attach rate with net-new customers and a 104% increase in attach rates with existing customers.